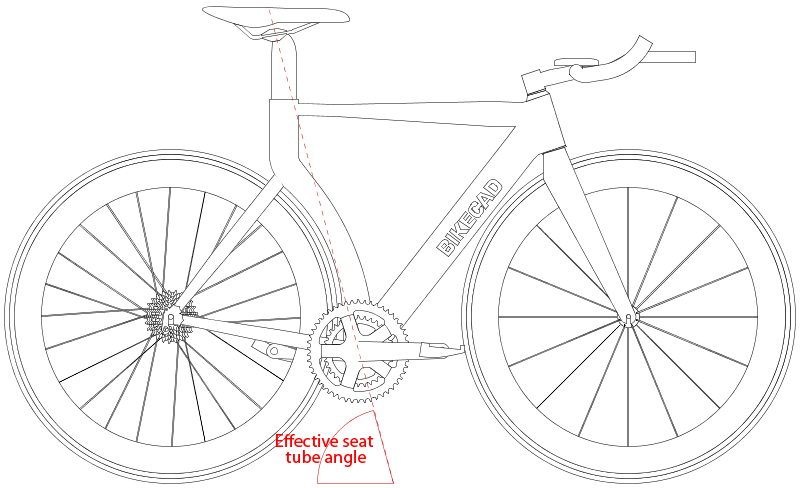 When a bicycle is designed with a curved seat tube, or if a seatpost with an unconventional setback is employed, the actual seat angle may not be the best indicator of where the saddle is located. Effective seat tube angle measures the angle between the bottom bracket and the Saddle reference point. Effective seat tube angle is available in BikeCAD Pro in the Components >> General tab of the Dimensions dialog box.